Anywhere that there is an office, there is office gossip. Often it is a bit of light-hearted, harmless fun to see you through the day but it can become a big problem. 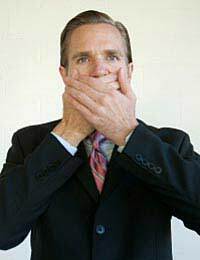 If people in your office are spreading needless rumours or seem to be ganging up maliciously on you or a colleague then you need to confront the situation. It is not fair, not professional and they shouldn’t be allowed to act as if the office is a playground. Obviously it can be fun to indulge in the odd bit of office gossip – we all love to know about other people’s lives, or at least think that we do. However, you need to think about the ‘harmless’ gossip is affecting the person that you are talking about. The best thing to do is not to get involved in the gossip. Next time that your colleagues are discussing someone simply say nothing, or even better, move away. By not getting involved you are absolving yourself from any responsibility for the gossip. However, ignoring the problem can be just as bad as participating. Although it can be difficult, it is best to talk to the gossips about what they are saying and try to make them see that it could be hurtful. If you can do this in a casual, friendly way then it is best but you may have to be firmer to make your point be heard. If you are the one that they are gossiping about then it can be very difficult to take. It can make you feel alienated at work, unable to concentrate and like you are back being bullied at junior school. I may be that the gossips are being malicious but it may also be that they don’t realise the effect it is having on you. The best way to deal with it is to take the main gossip aside and have a chat with them. Explain what the situation is, correct any misinformation and let them know how their actions are making you feel. It can be a scary thing to do but you will feel great afterwards. As difficult as it can be to believe, remember what your mum used to tell you when you were at school. Bullies and gossips are usually insecure themselves and try to make themselves feel better by putting down others. You don’t want to stoop to their level by picking on their own insecurities but sometimes it can be clever to mention them in passing and let them know that you are aware of the way they are. Try and rise above their childish behaviour but if you can’t then you may need to take further action. Office gossip is fun and harmless until your are the target of it. Make a stand by not getting involved with talking about other colleagues. If you are the victim then have the courage to confront the gossips and remember that they are only picking on you to make themselves feel better about their flaws.